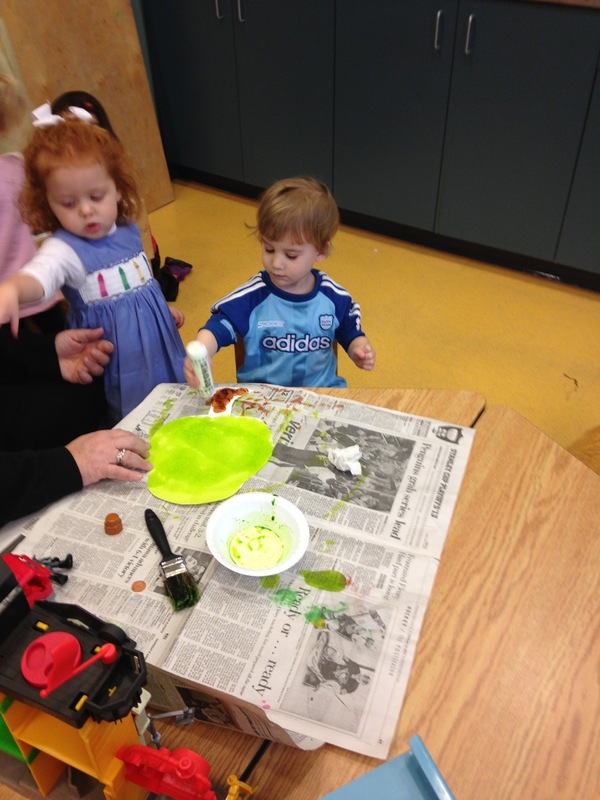 Our 2 year olds are painting their almonds trees and then gluing on the blossoms. 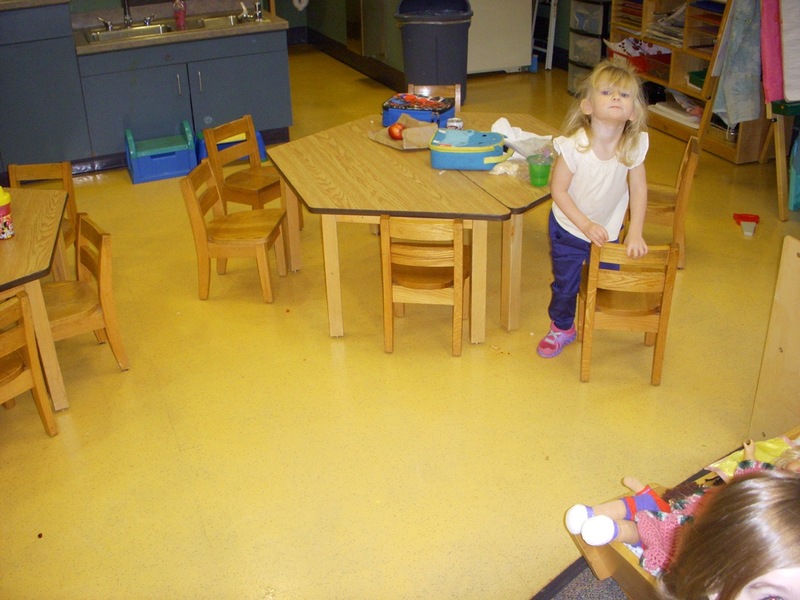 If you stop in our classroom, you will see the finished project. 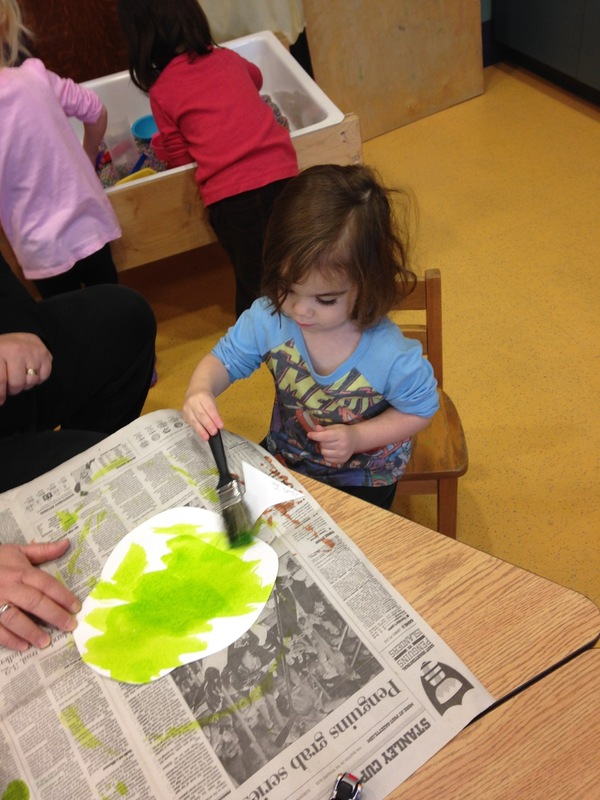 We have a forest of almond trees to celebrate the holiday of Tu B’Shevat. 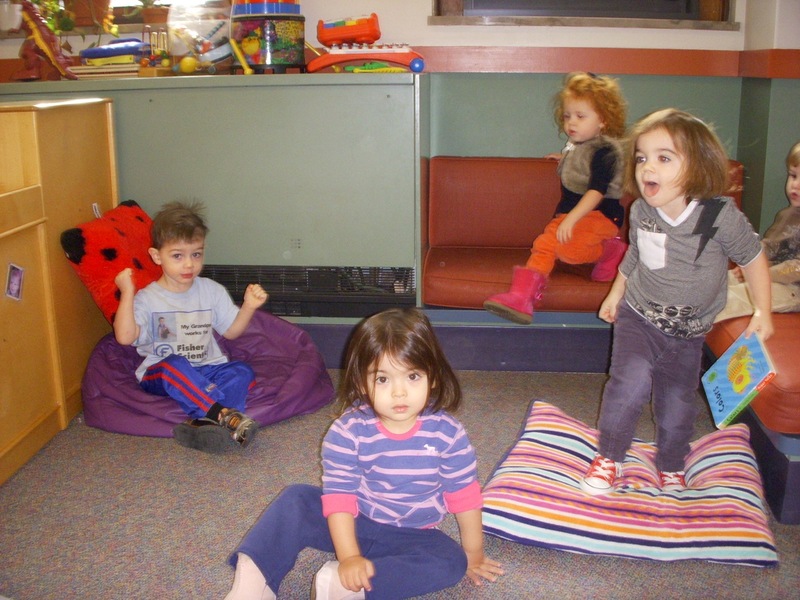 This is the “Birthday of the trees.” In Israel, the almond trees are the first ones to bloom. 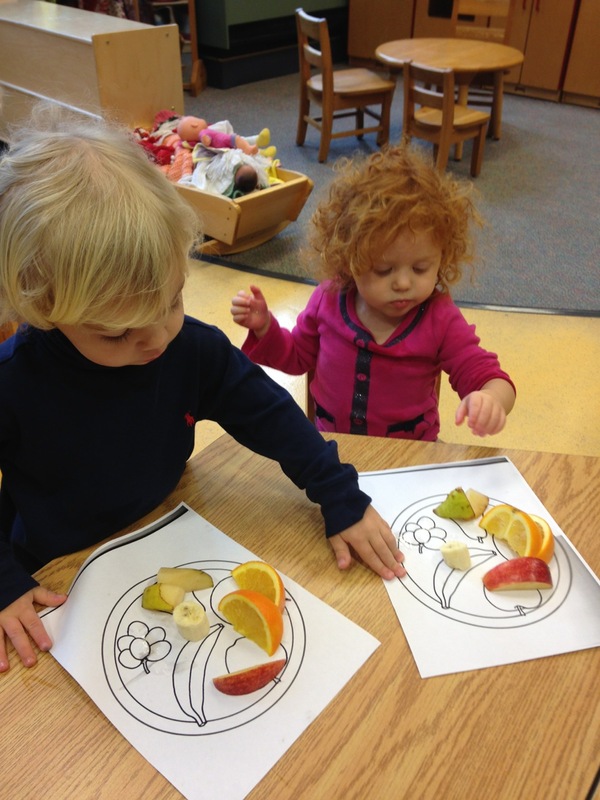 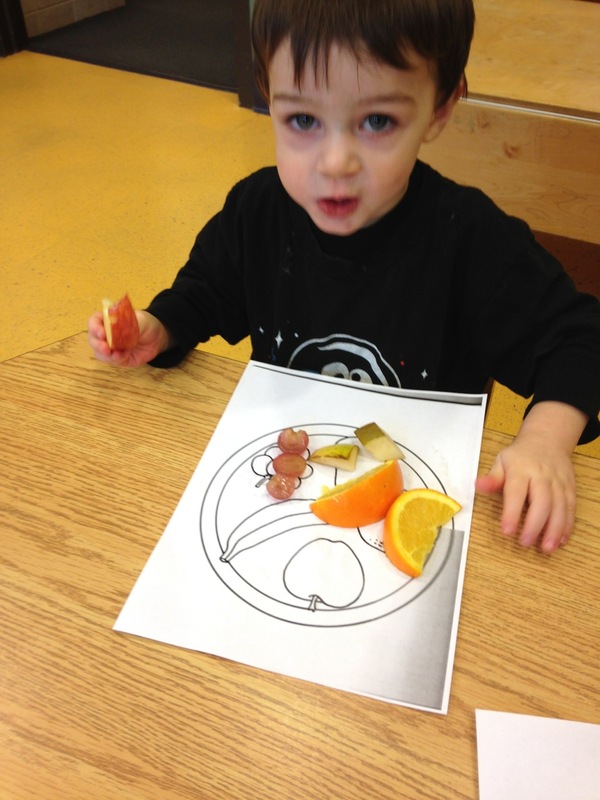 The children also enjoyed a mini Seder by sampling a variety of fruits and talking about how different these fruits taste. 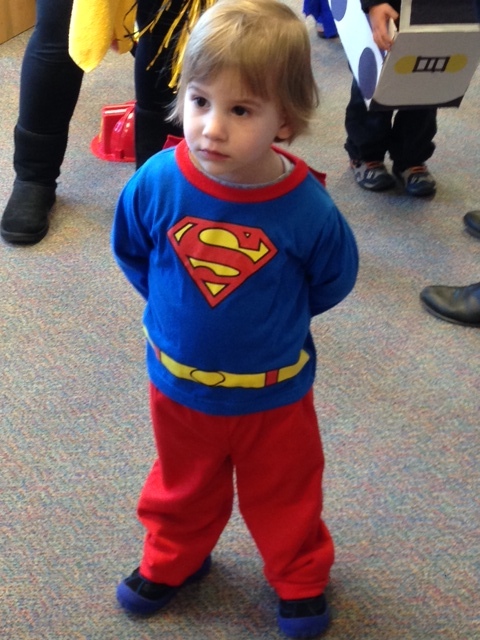 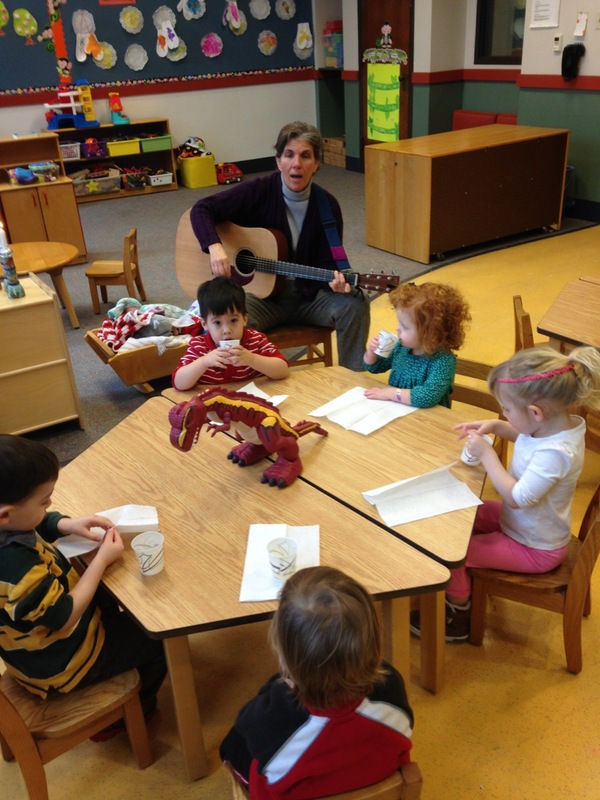 The last four pictures are from our weekly Shabbat celebration with Miss Susan. 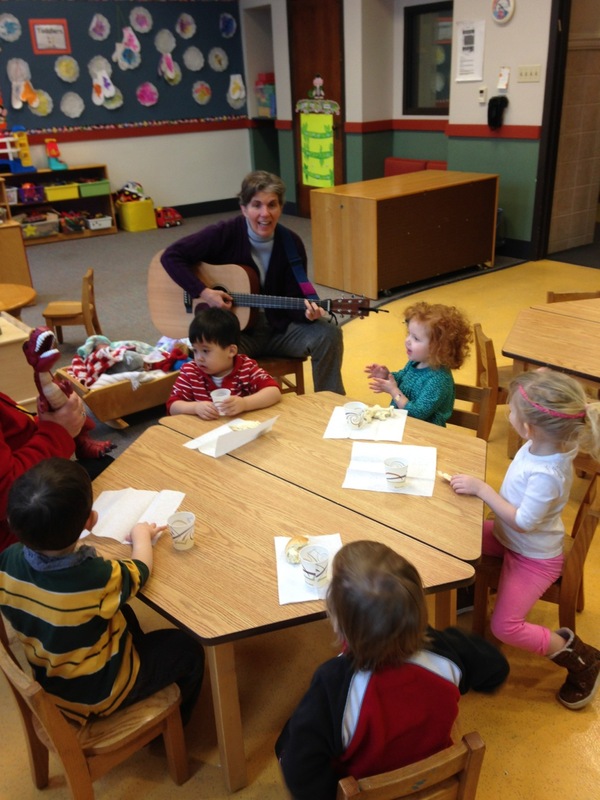 The children LOVE to sing with Miss Susan and her guitar. 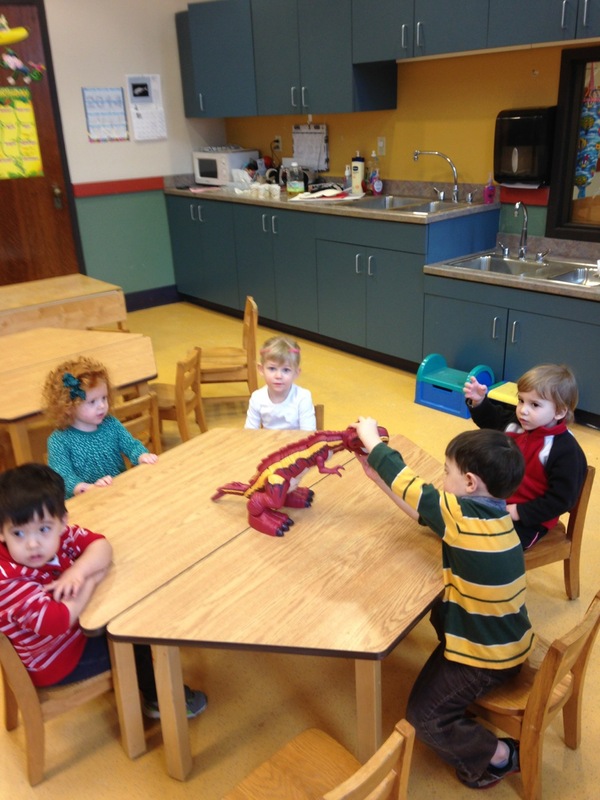 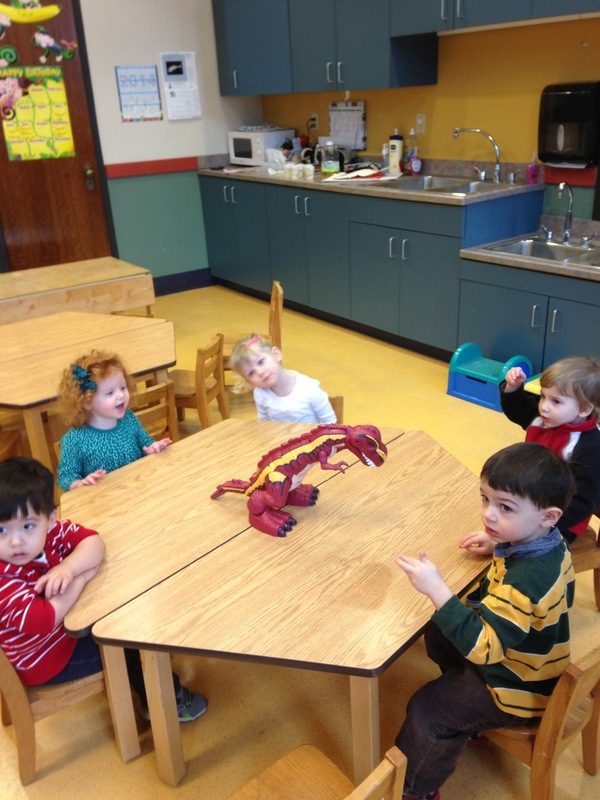 Our favorite T-Rex is sitting on the table because we sing the Shabbat dinosaur song to him every Friday! 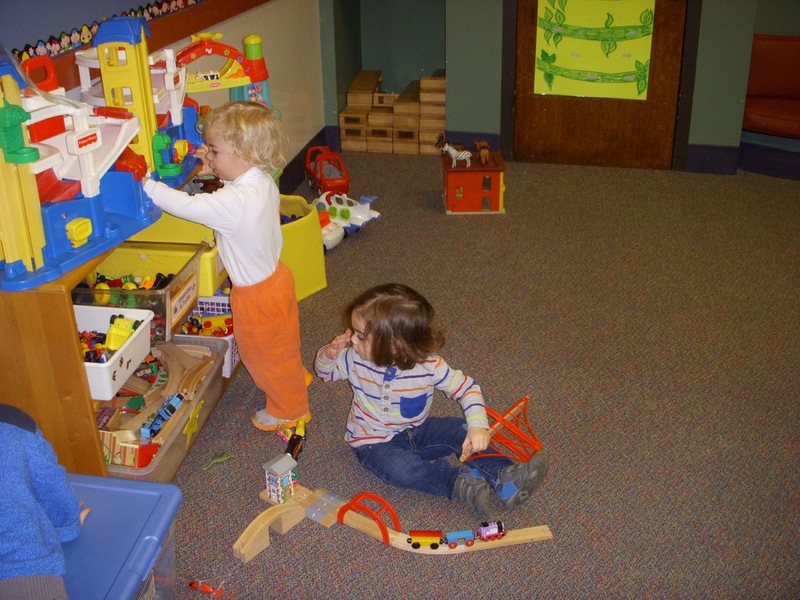 The life of a 2 year old is busy, Busy, BUSY! 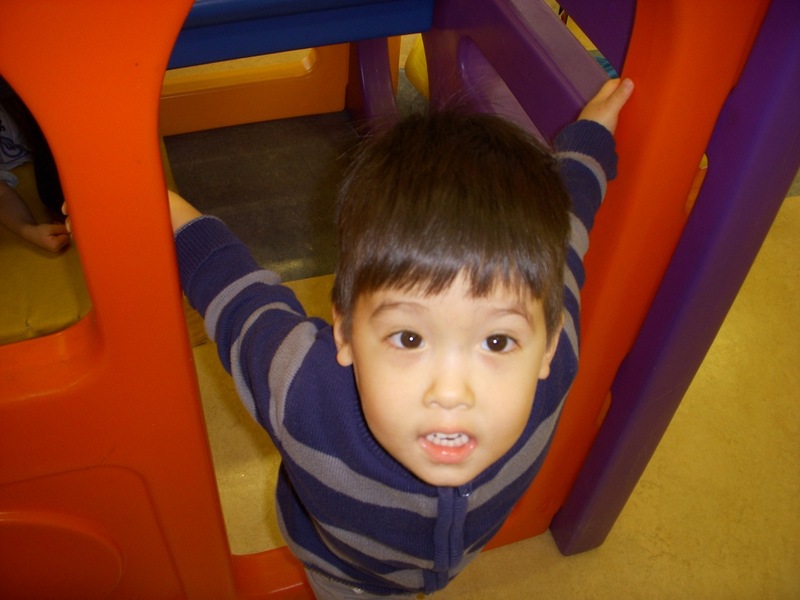 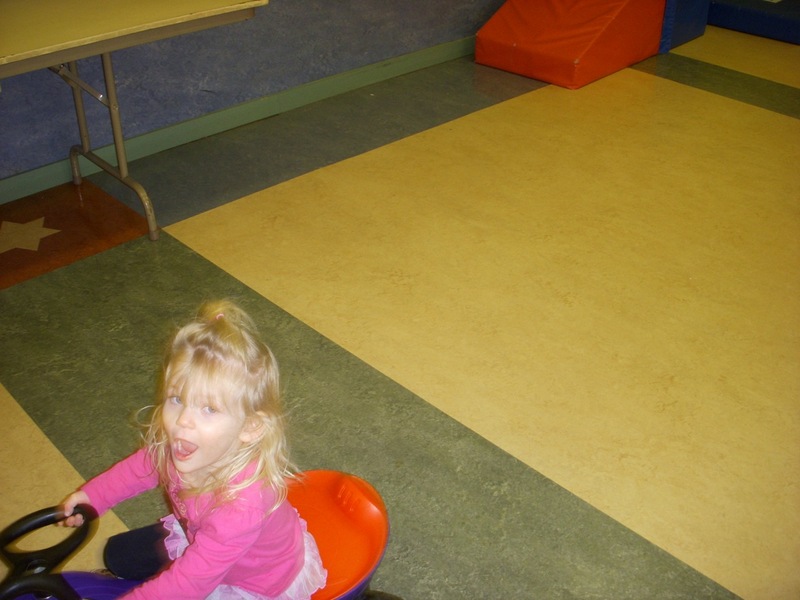 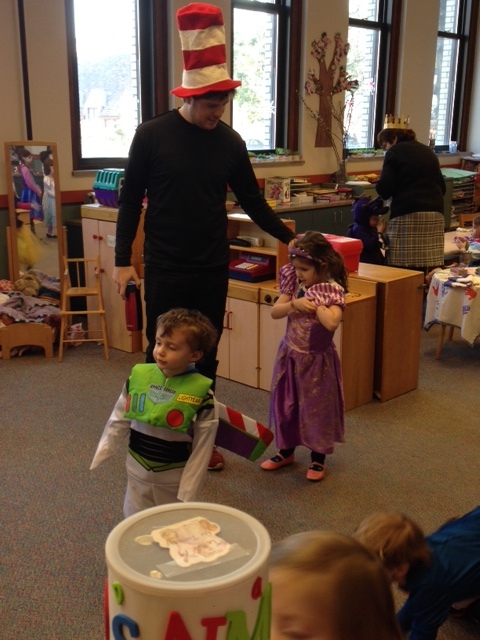 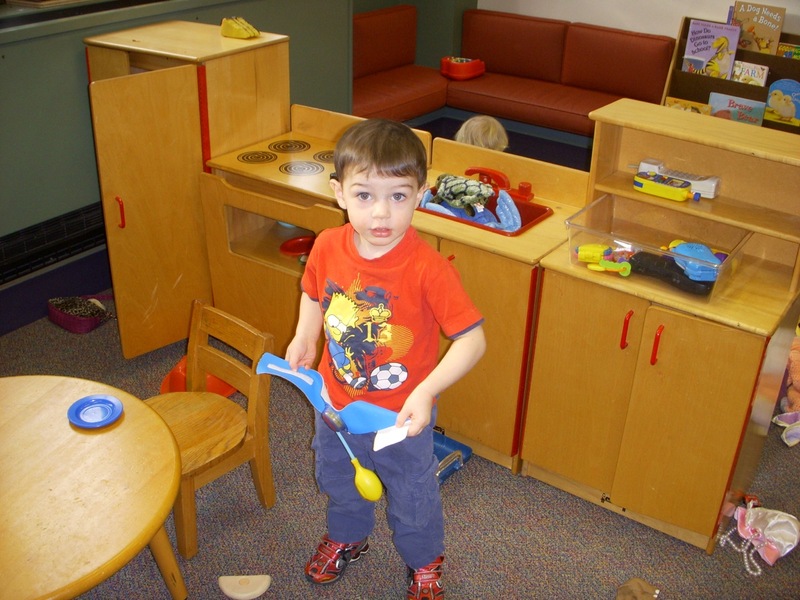 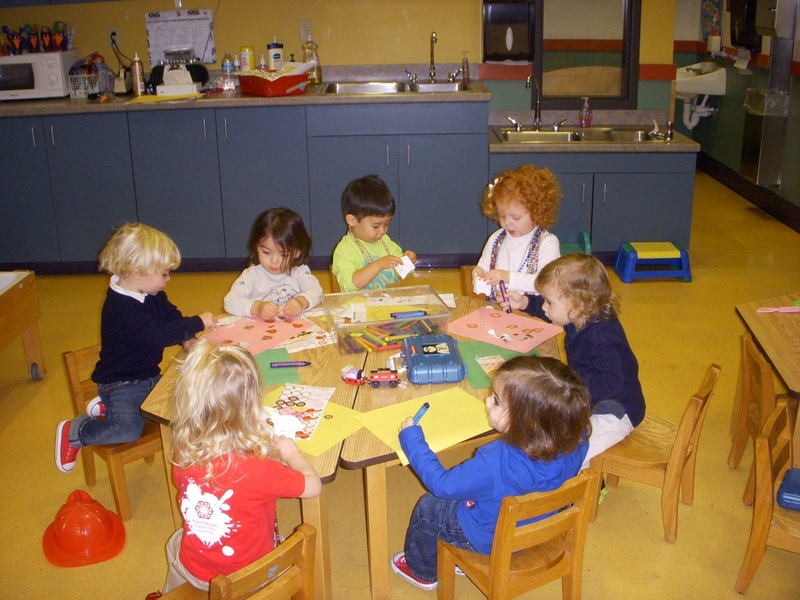 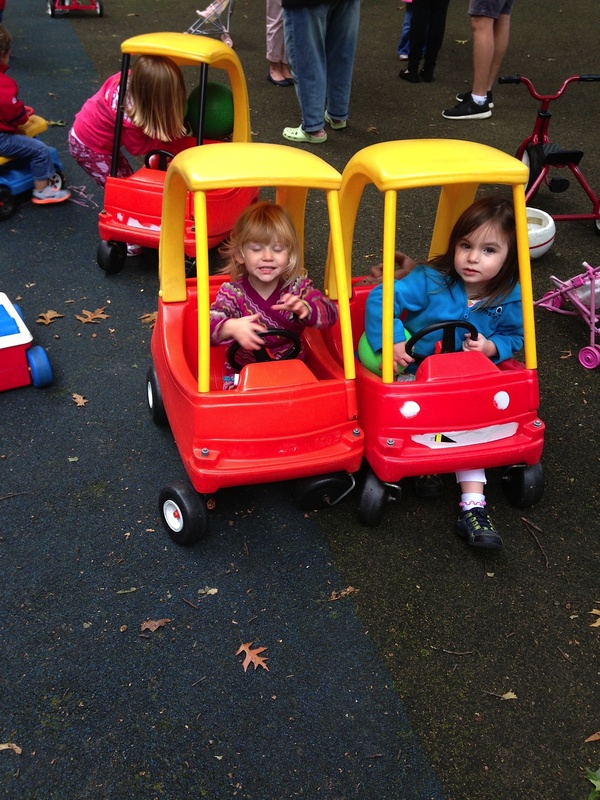 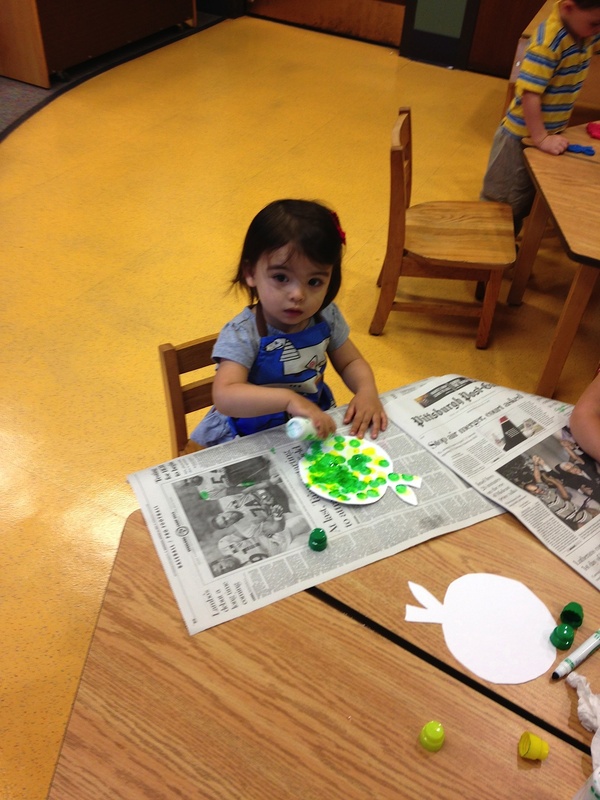 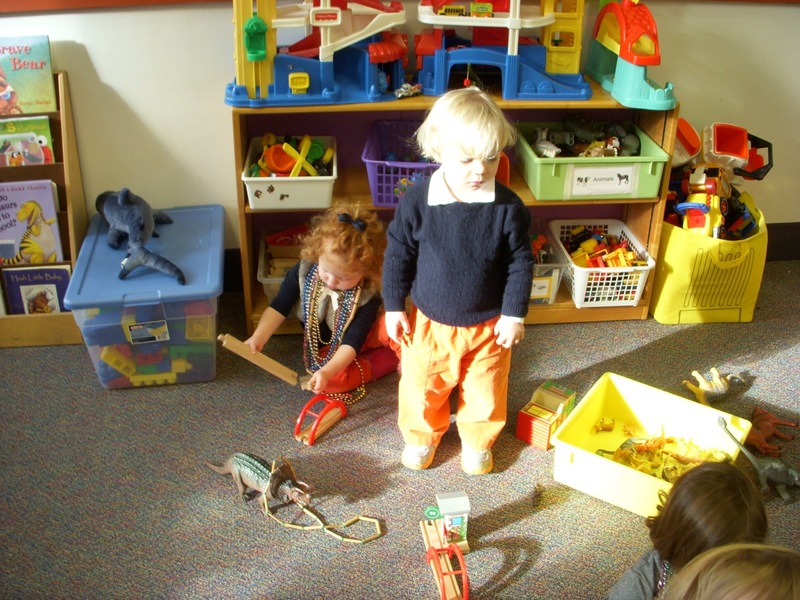 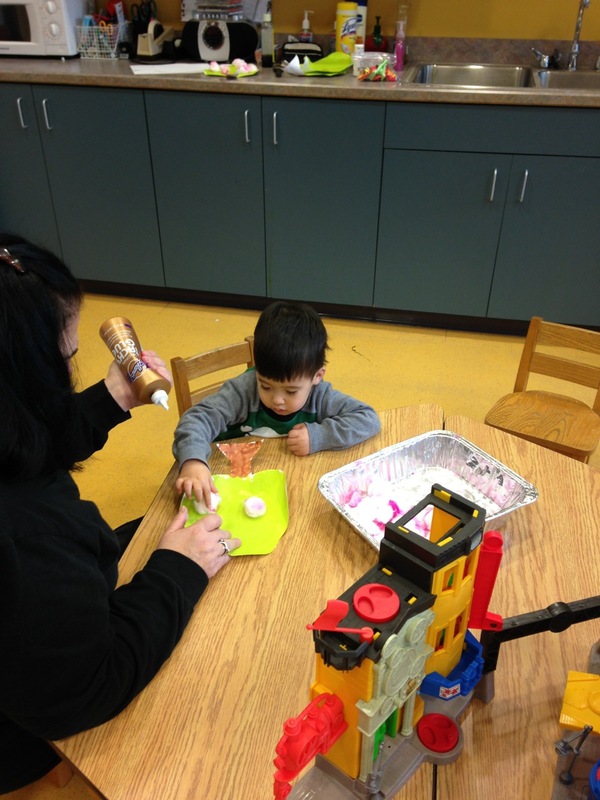 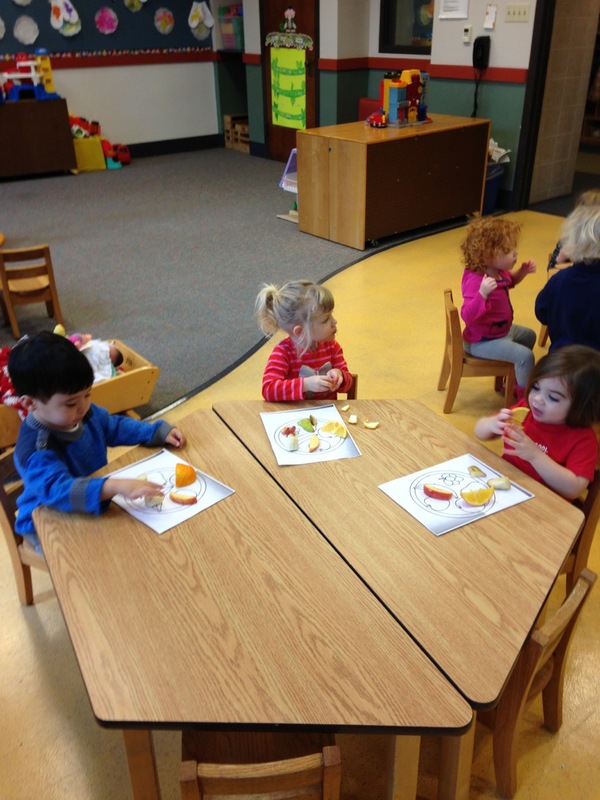 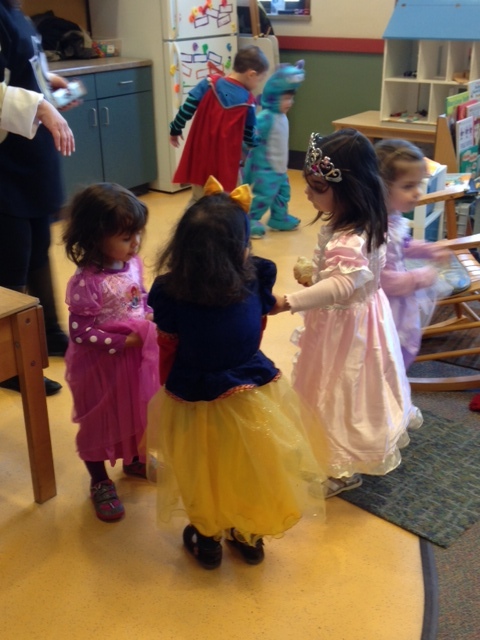 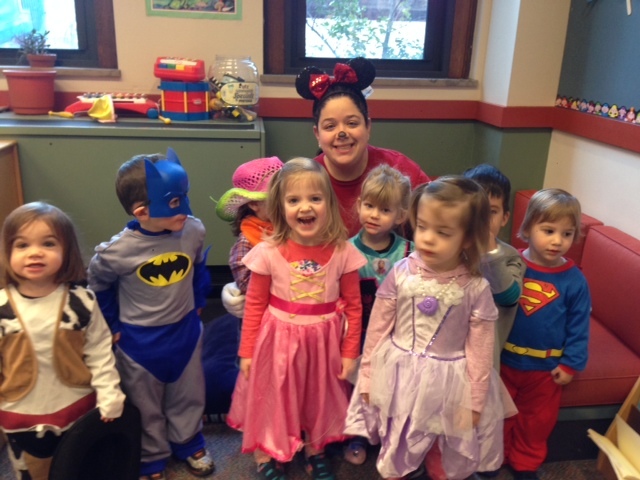 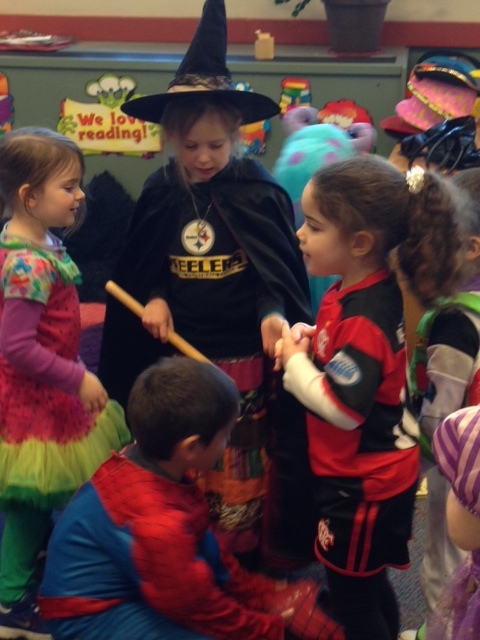 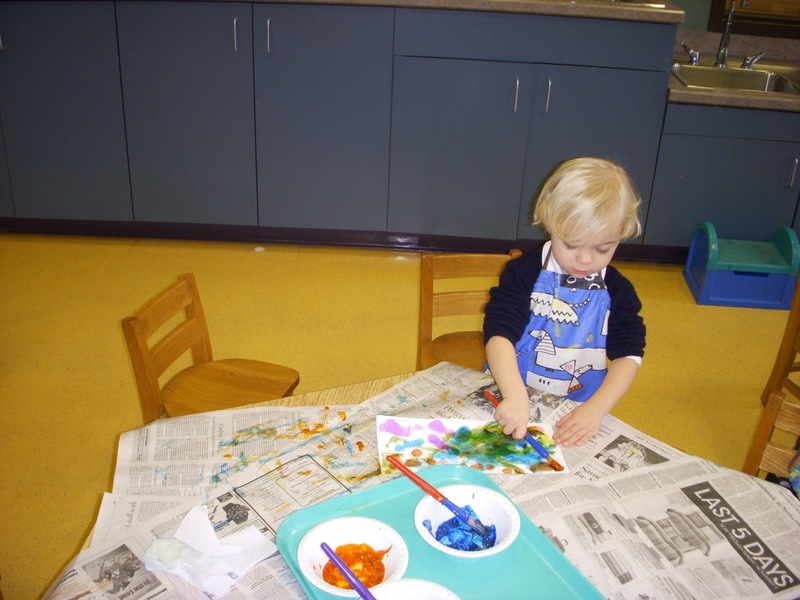 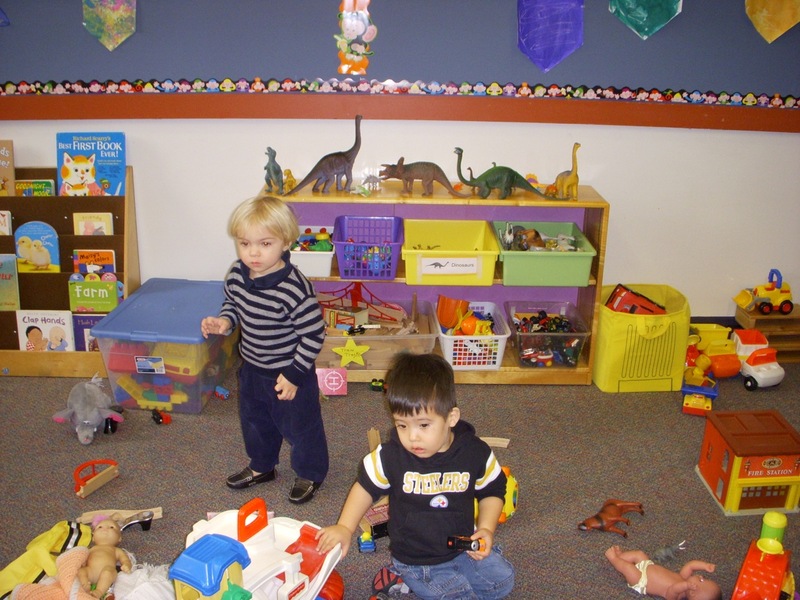 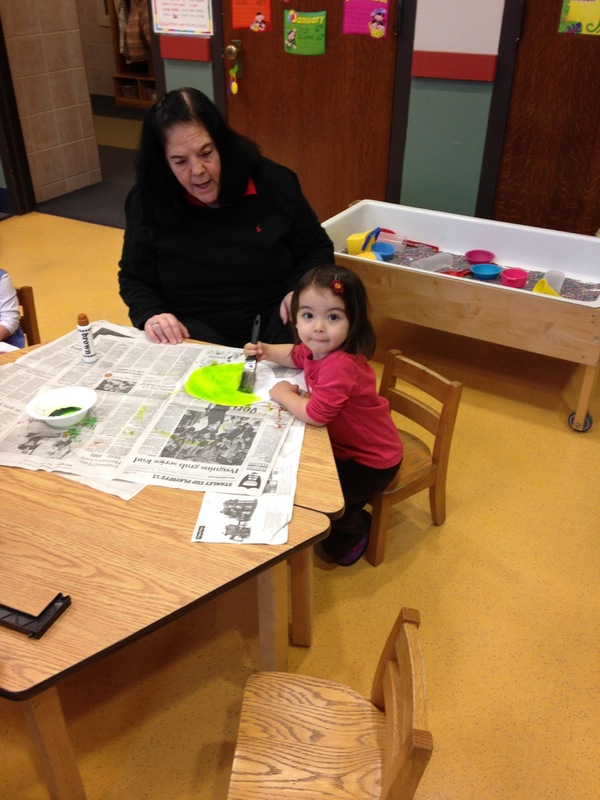 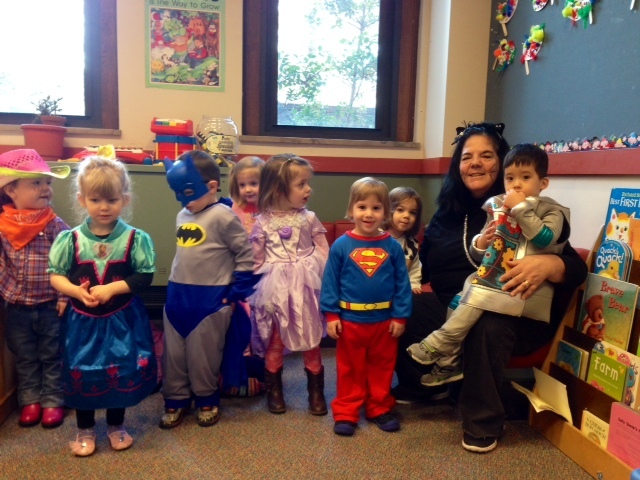 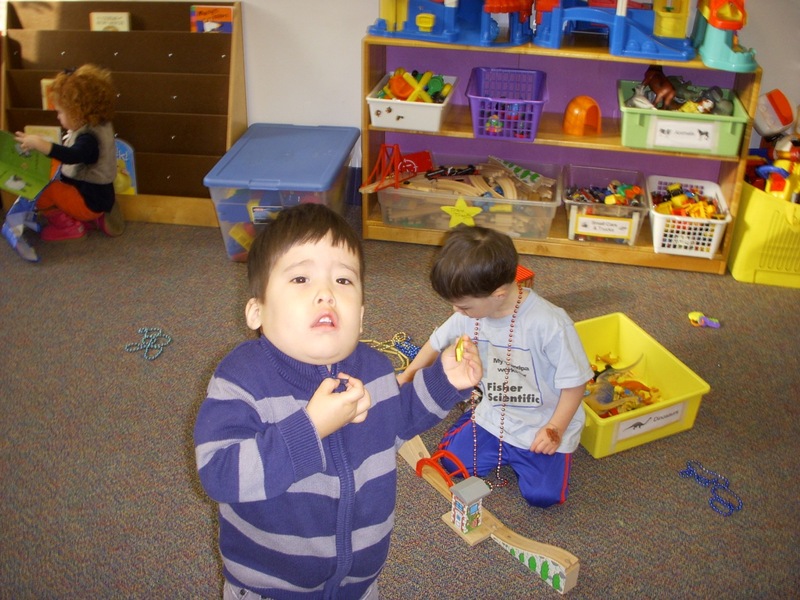 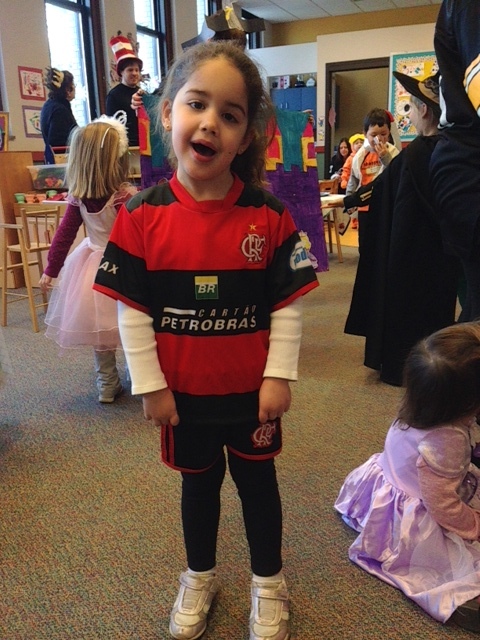 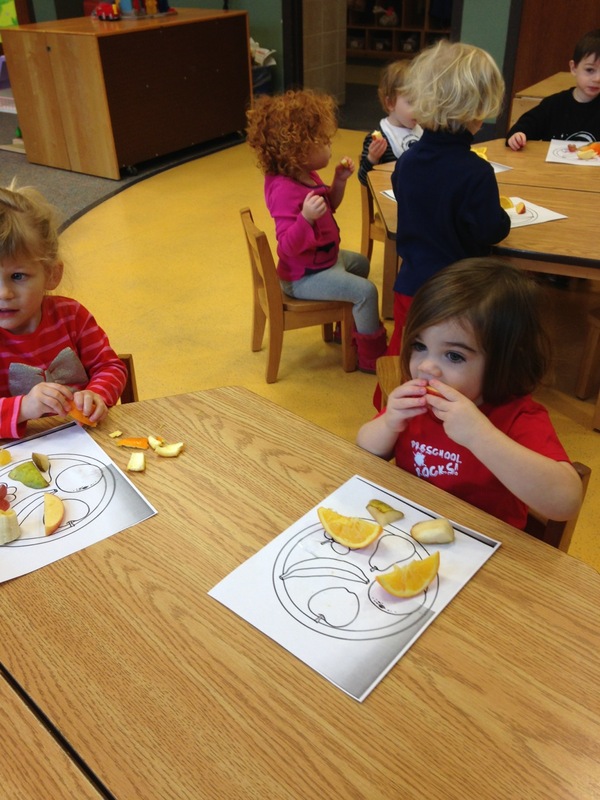 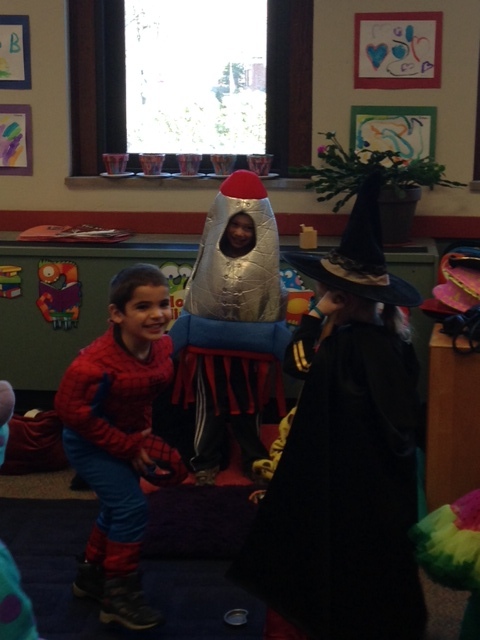 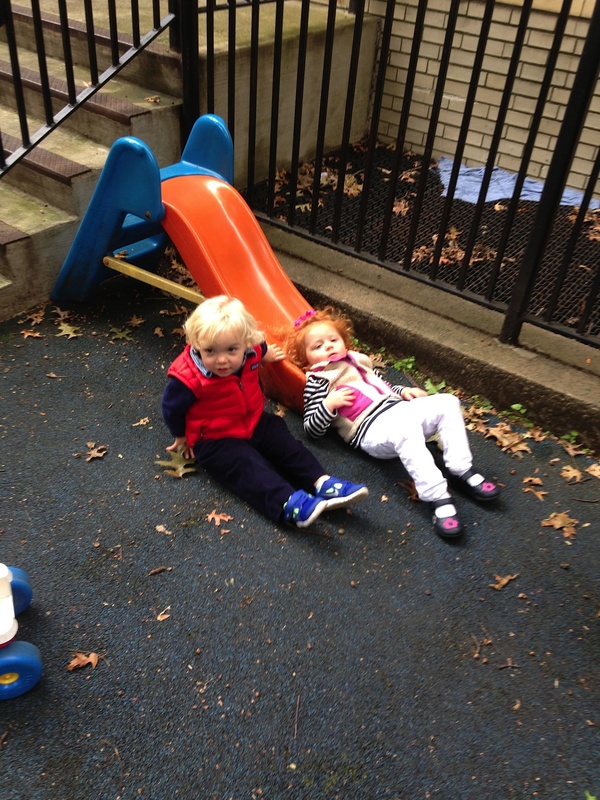 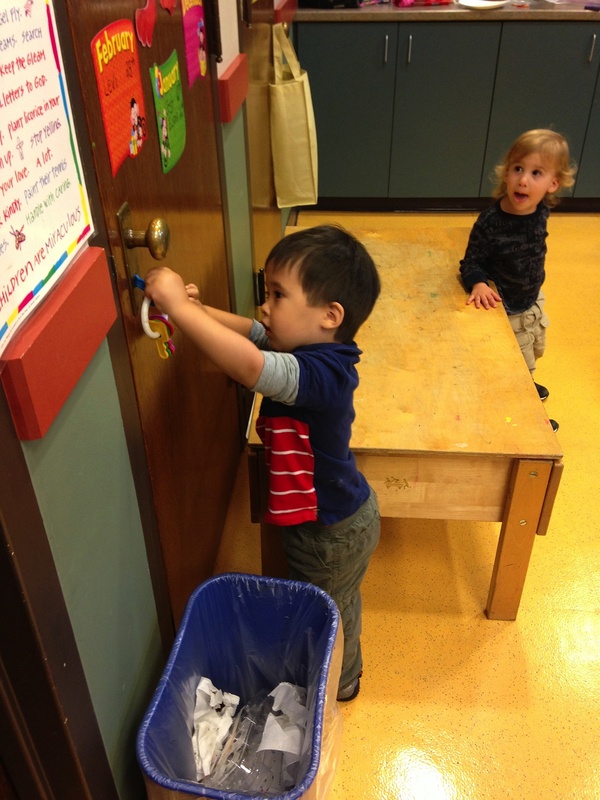 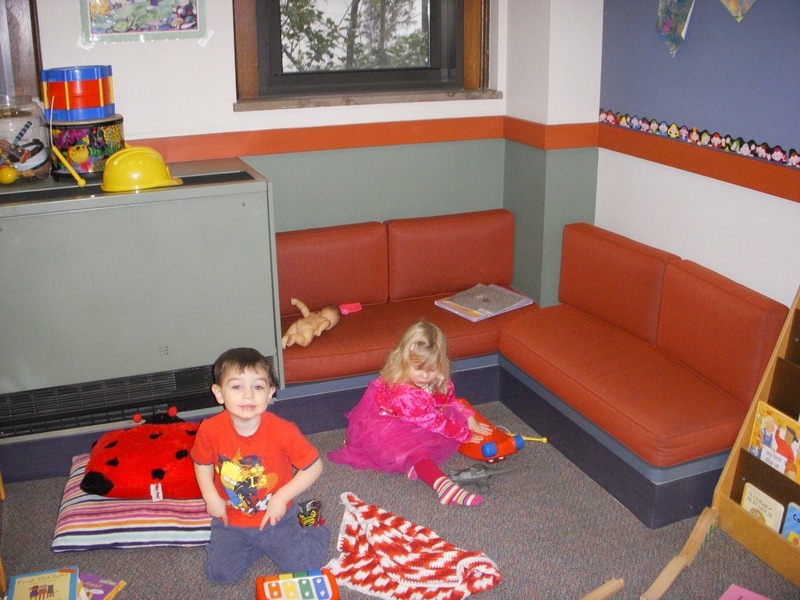 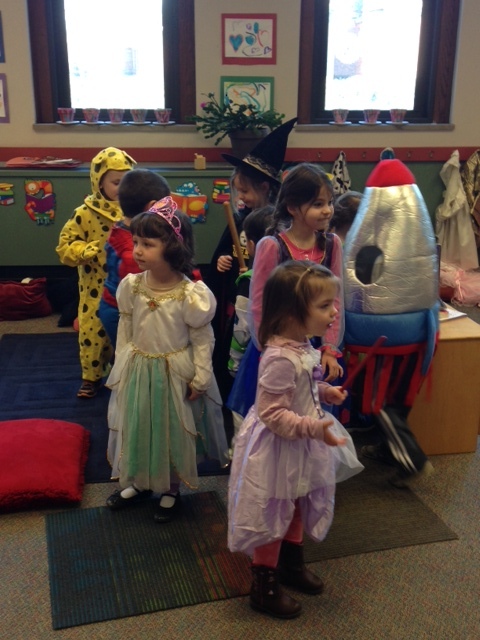 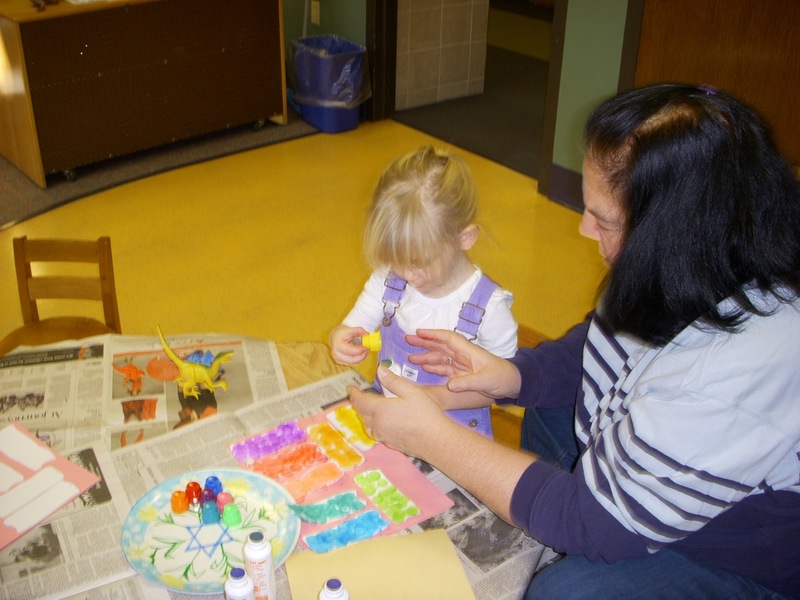 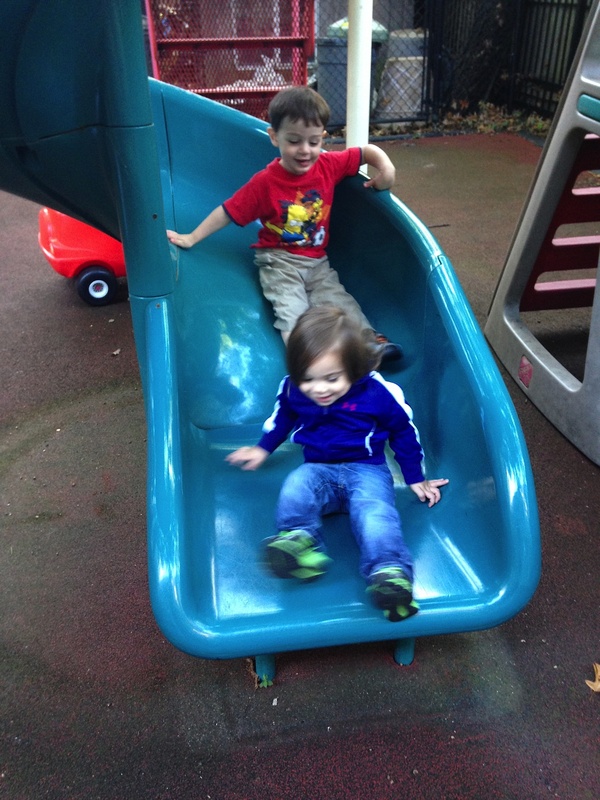 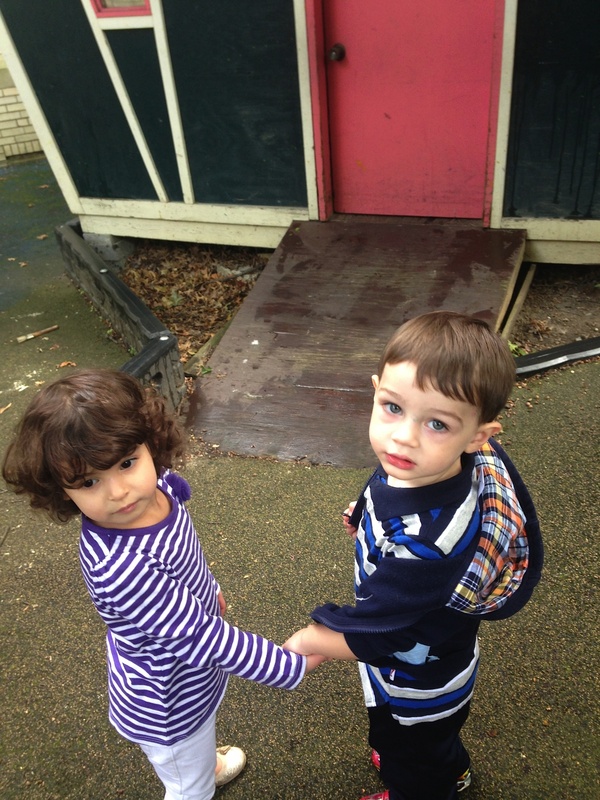 These pictures show a small fraction of the activities that the children participate in during their preschool day. 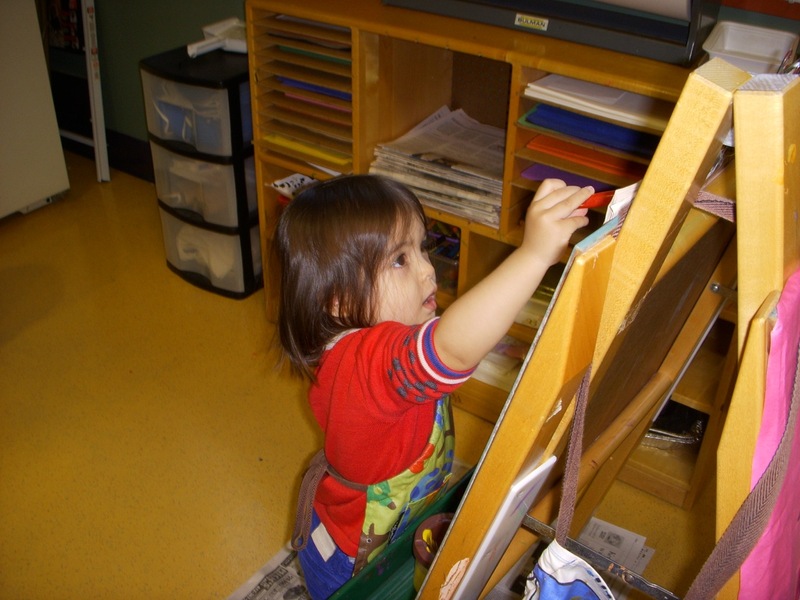 Art projects and time spent “doing your own thing,” with markers, stickers, crayons and play dough are enjoyed by everyone. 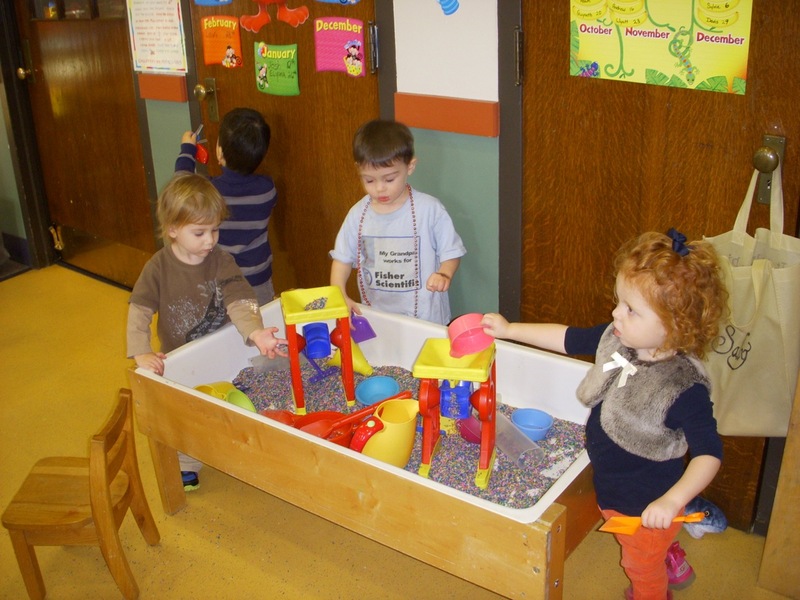 They have so much fun dressing up, building with blocks, playing in the rice table and putting together tracks for the trains. 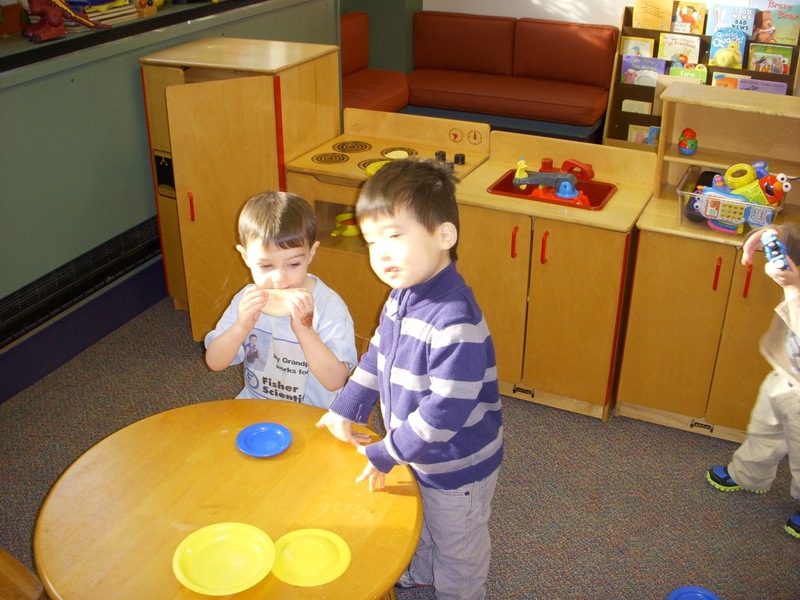 In December we contributed a big bowl of veggies to the delicious “Friendship Soup” that Mimsie cooked for us. 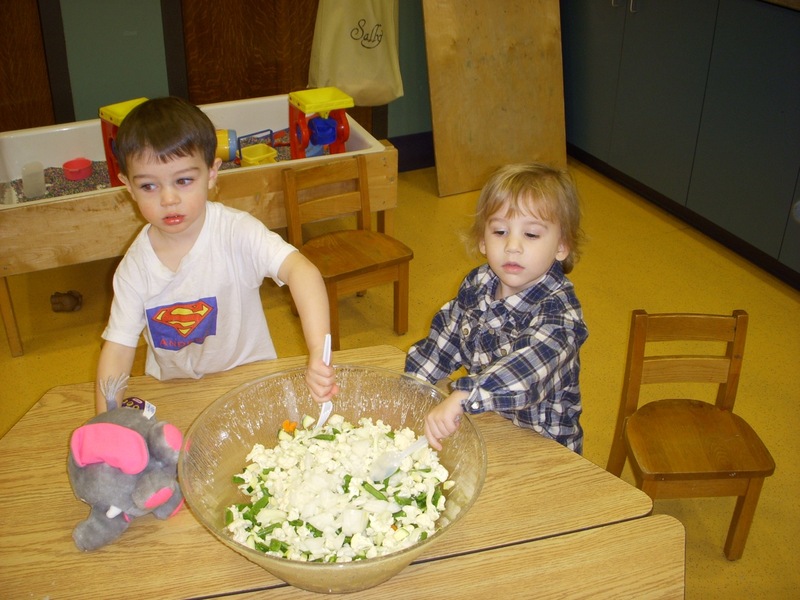 Our youngsters snapped beans and broke cauliflower and popped sliced carrots and onions and potatoes into the bowl. 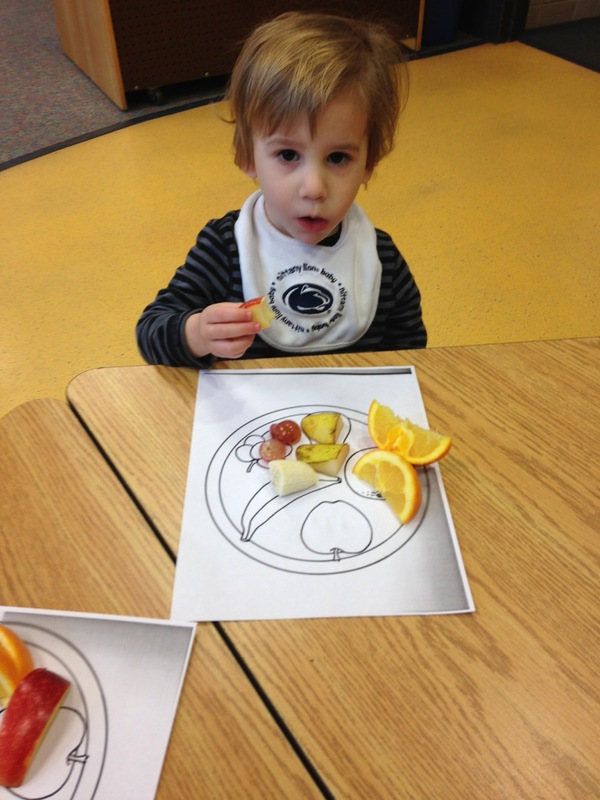 Of course we sampled a bit of the cut veggies! 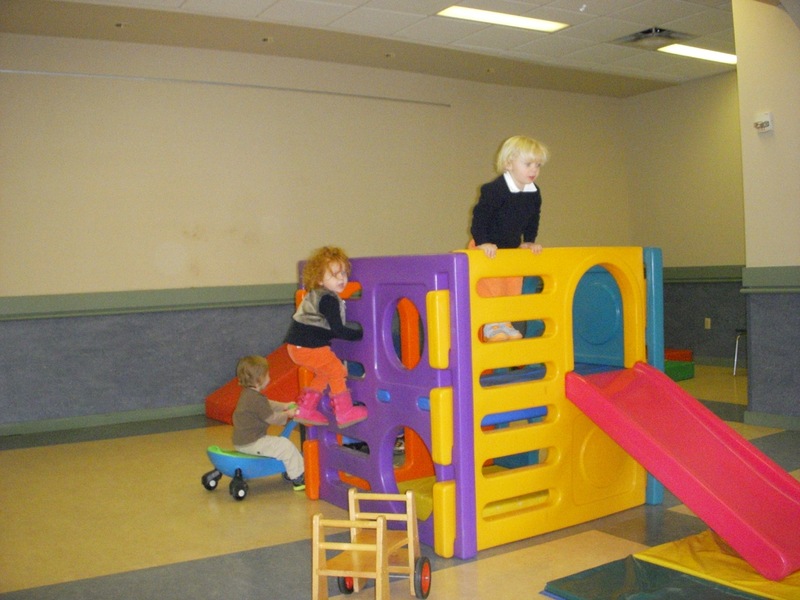 When the weather is too cold to go outside, we use the multipurpose room to burn off energy.